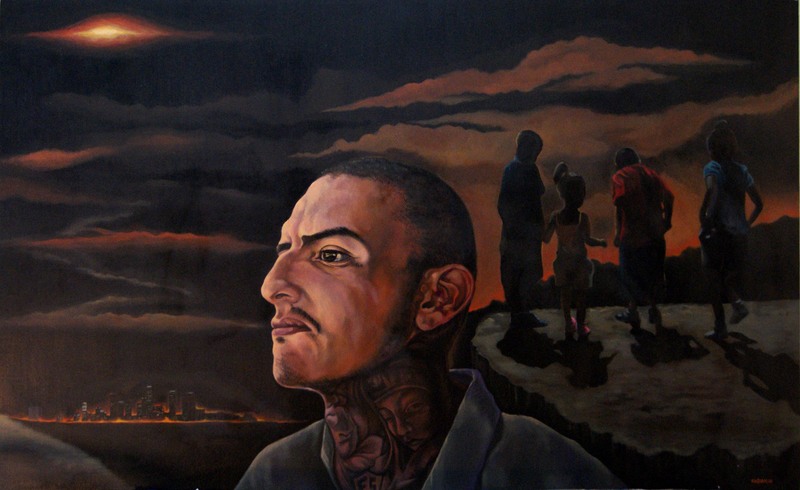 God, gangs and art in L.A.
Two new publications this month, both about the work of Fabian Debora, a former East L.A. gang member turned painter and muralist. “Pay Me No Mind” appears in the latest issue of Boom: A Journal of California (an excellent and welcome addition to the literature of California). “A Spade is Not a Spade” appears in the latest issue of Image.